Global Communication for Self-Service Procurement Market Research Report 2018 | Market Research Reports® Inc. Global Communication for Self-Service Procurement Market Research Report 2018 report is published on March 29, 2018 and has 163 pages in it. This market research report provides information about Telecom Infrastructure & Networks, Telecom industry. It covers Global regional market data and forecasts. It is priced starting at USD 2,850.00 for Single User License (PDF) which allows one person to use this report. Communication for Self-Service Procurement Report by Material, Application, and Geography – Global Forecast to 2022 is a professional and in-depth research report on the world's major regional market conditions, focusing on the main regions (North America, Europe and Asia-Pacific) and the main countries (United States, Germany, united Kingdom, Japan, South Korea and China). The report firstly introduced the Communication for Self-Service Procurement basics: definitions, classifications, applications and market overview; product specifications; manufacturing processes; cost structures, raw materials and so on. 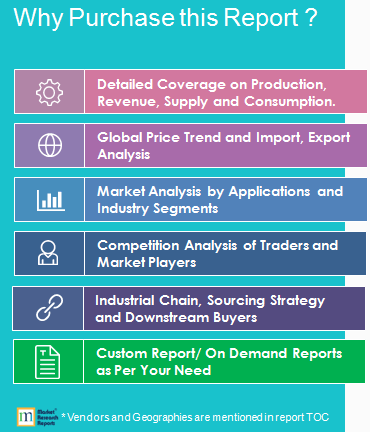 Then it analyzed the world's main region market conditions, including the product price, profit, capacity, production, supply, demand and market growth rate and forecast etc. In the end, the report introduced new project SWOT analysis, investment feasibility analysis, and investment return analysis.